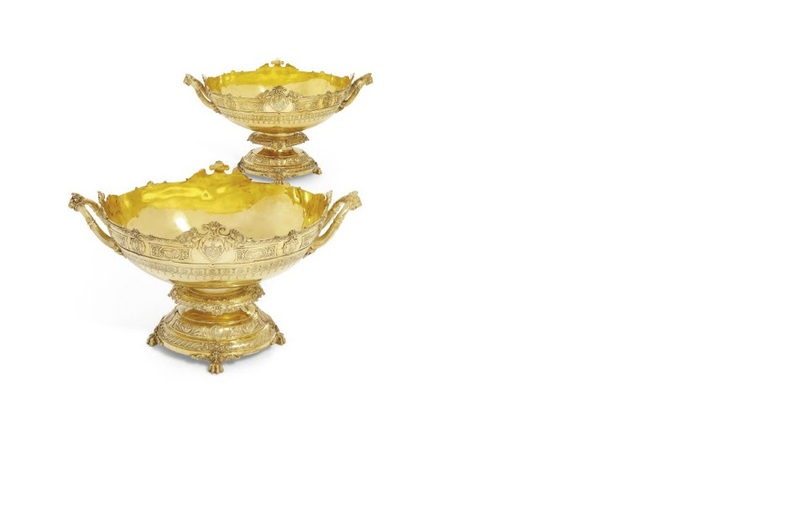 A dinner set commissioned by the former Maharaja of Patiala has been sold at auction for $3m (£1.9m). The set was purchased by an anonymous collector, Christie's in London said.The set weighs nearly 500kg (1,100lb). Every single piece in the magnificent 1,400-piece silver-gilt set has elaborate decorations. The dining set was commissioned by Maharaja Bhupinder Singh in 1922 for a visit to Patiala by the Prince of Wales, later King Edward VIII. 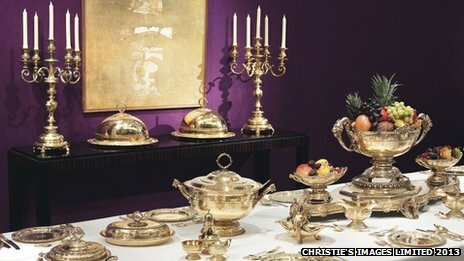 Each piece comes with "a scroll and foliage border above cast and chased panels of animals, separated by cast daggers, variously engraved or cast with coat-of-arms, crown and initials" and was sold as part of the auction house's "Exceptional Sale", Christie's said in a statement to the BBC. The gold-plated silver dinner service was ordered from London to honour the three-day royal visit which culminated in a magnificent banquet on 24 February 1922, the auction house said. Patiala, which is in the Indian state of Punjab, was among the wealthiest princely states of British India. The exquisite banqueting service gives an insight into the maharaja's colourful and lavish lifestyle.He was the first Indian to own an aircraft and was also an avid and early motorcar enthusiast who owned and travelled in a motorcade of up to 20 Rolls Royce cars. The maharaja was also the captain of the Indian cricket team.Historians say he married many times and took in many lovers and sired dozens of children.